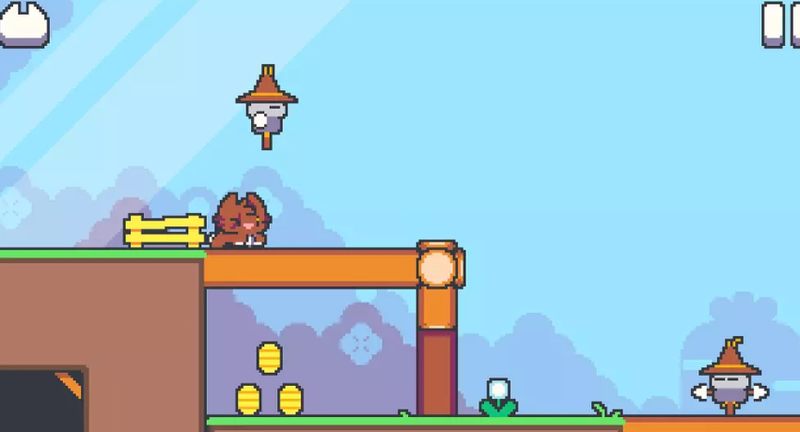 Super Cat Tales 2 is a 2D platform game that follows an amazing game, Super Cat Bros. Here, you also have to join forces to help a group of cats in an epic adventure. Plus, now you can play with new cats and special powers that are also new. For controllers, Super Cat Tales 2 is practically identical to its predecessor, which is perfect. By pressing the side of the screen, you can make the cat move forward in that direction. Then, whenever you tap quickly, the cat will run as fast as possible. To jump, you only need to make him run to the edge of the platform. Along with more than one hundred levels in Super Cat Tales 2, you can play eight cats. As in the first game, each cat has the special ability needed to overcome certain level areas or take one of the hidden bells. Super Cat Tales 2 is an amazing platform game with the perfect control scheme for phones and tablets, beautiful visuals, and cheerful and fun theme songs. This time, the sequel is as good as the first, Super Cat Bros.